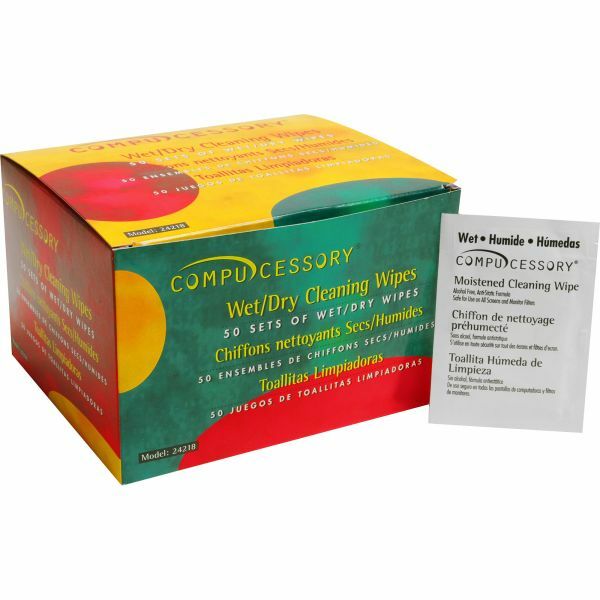 Compucessory Wet and Dry Screen Cleaning Wipes - Remove dust and fingerprints from CRT screens with these soft nonabrasive wipes. Twin-pack wipes contain one wet and one dry wipe, enabling you to immediately complete the cleaning process. Wet wipes contain alcohol and an antistatic agent. Wipes are not for use on LCD screens or laptops.